Mona has worked with families and children for the last 20 years. She began her journey working with infants and toddlers through Early Head Start. During that time, she learned a lot about brain development and the importance of attachment. Mona's passion for helping children then evolved to include working with families whose children are in the foster care system. Mona is currently the Youth Advisor for southwest Nebraska. She works with unconnected youth ages 14 through 23. Mona empowers the youth in her area to change the system using their voice. She facilitates peer support by having daily meetings and helps to connect the youth to resources in the community. Mona and her husband, David, have two children, Michael and Adrianna, and a new granddaughter, Nyla. 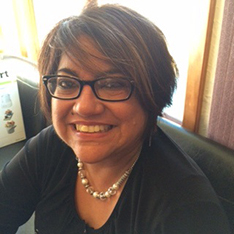 Mona is passionate about helping people and mentoring youth. Her motto is: "I want to inspire people. I want someone to look at me and say 'Because of you, I didn't give up.'"